I heard the Code Red Boys for the first time when i came across their Denge Pose tune. Since then i haven't seen another song from them together. Both been releasing songs individually for a minute. 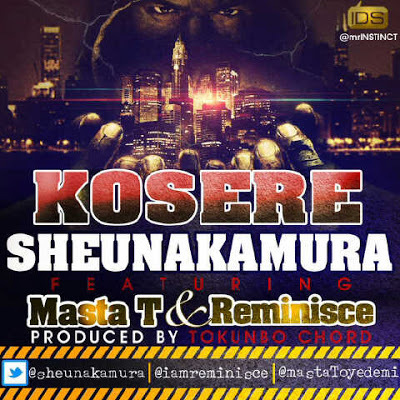 Anyways Sheunakamura, one part of the Code Red Boys comes through with Kosere with Reminisce and Masta-T. Looks like he is making moves as a Yoruba MC now. Enjoy Kosere.